I am so excited that my daughter will be flying in from Colorado for a quick visit next weekend. We call them “hit and runs.” Two years ago we spent eight days at the Ritz Carlton in Jamaica, just the two of us. I thought it would be great to spend some one on one time away from both of our home fronts. Allowing for none of the everyday interruptions. It was a dream vacation with a good mix of exploration and relaxation. It happened a few times over the week and in this picture it truly does look like we are! So, this week my card making has taken a back seat for a good cause! 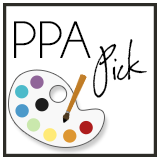 Will be making the PPA sketch card to post before Monday. See you then! Posted on October 19, 2013 by Martie Pollard.